What’s The NFL Combine Bench For Reps Record? If you are reading this, chances are the 225lb Bench For Reps is one of your favorite parts of the NFL Combine. That and the 40yd dash as always the two events that people most talk about. I do have to admit that as much as I enjoy it, benching for reps is not a very good test for a football player in my opinion. 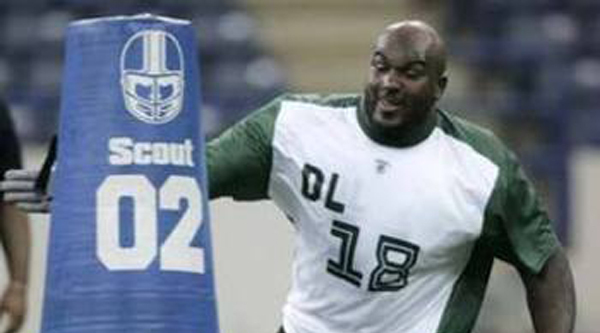 Wouldn’t you rather have Offensive Lineman that can push 350lbs explosively, like the sport requires. Anyway, chances are if you are reading this you aren’t a Pro Football player. Maybe one day you will be, but in the meantime you just like to see feats of strength involving the bench press. And you hope to find a good bench press program to improve your strength and increase muscle mass. There’s a little motivation for you, so you can see how you stack up against the soon to be pros. Just something to think about while we wait for Chandler to release his new program. And if that doesn’t work, check out the video below to see Stephen Paea setting the NFL combine bench for reps record in 2011. I remember when I first watched it he didn’t look THAT strong through the first 15-20. But he was doing what he needed to do to pace himself. In the end the last few reps looks relatively easy, and he should have had 50. Of course his record was short lived, as Justin Ernest of Eastern Kentucky came along at the 2012 NFL Combine and put up 51 reps. Unfortunately for Justin, he only lasted 1 year in the NFL, while Paea is still with the Bears. Hopefully when this proram is released, next week you will be inspired to break a record of your own. 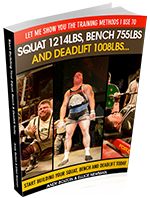 And with his Bench For Reps program, you will have the blueprint to do just that.